The home for the Fairfax Baptist Church blog called Bread Crumbs has moved. The new site will be included on our website and will be a WordPress blog beginning with the first post of 2019. The new site is: fairfaxbaptistchurch.org/blog. We hope you will continue reading Bread Crumbs at the new site. We will continue to post on Facebook when new blog posts have been made. So, I compare this to the time about 2.5 years ago when we went to Andy and Susan’s house to look at pictures from Africa. Almost before Andy got it out of his mouth, I told him that I was going to Kenya when he decided to go back. When Andy called to see if I wanted to preach today, I said yes pretty quickly. Then, when I got off of the phone, I thought, “What are you thinking? You can’t preach!! !” So here I am...don’t expect an Andy, Reggie or Rick!!!! Today is HUB Sunday. A day where we traditionally look at the places that we have ministered to, the possibilities that might be coming up and the opportunities that we have sitting before us. I want to dig a little deeper into the why and maybe show you how this goes farther than we can even comprehend. Ephesians 2:10 says, “We are God’s workmanship, created in Christ Jesus to do good works, which God prepared in advance for us to do.” So what this tells me is that we were made with a purpose. A purpose to serve Him by serving people. He didn’t make us to serve ourselves. He designed us with a purpose. We were made to be a blessing to others. It’s his plan for us, all of us, not just some of us. In other words, He has given to us, certain people that we are supposed to help. Some that we can serve, some that we can care for and some who we can lead to Him. For those that were here a couple of weeks ago and heard Andy tell about the gentleman that asked him a question about scripture, did this bring up any certain event that made you think? Should I have helped that person? Should I have done whatever was necessary? Was this one of the people that He sent to us, that we were supposed to help? I know it did for me. So what happens if we choose not to serve? I want to give you an example. Imagine a pond. Just your little run of the mill pond. The only water it gets is rain water. It gets a little water in to it every once in a while but it has no outlet. The water just sits in this pond. What happens to the water? It becomes stagnant, right? It’s the same with us as Christians. We get knowledge of the Bible coming in...through Church service, Bible study, reading the Word. If that all comes in and there is no outlet, we become stagnant. Our spiritual life become stagnant. God expects us to fulfill His plans for us. We need to be doers of the Word. The Bible says in James 2:20 that “Faith without deeds is useless.” God didn’t design us, before we were born, to be useless. Admittedly, it’s easy to know what needs done but not do it. It’s comfortable...for a little bit. God, or your conscience, will eventually push you to do good works...or, at least, He has me. God puts people in front of us, all of the time, that need help. It may seem like a burden at the time but maybe, just maybe, He is giving us the opportunity to be like Jesus or at least the opportunity to practice being like Jesus. Even Jesus took a towel and a bowl of water and washed His disciple’s feet because the need was obvious. We are to be faithful in the things that God has for us, we need recognize these opportunities. I want to take a look at the maps that Reggie made for us. We see here all of the places that we have served. Whether in person or by sending supplies, we have served. Let me tap in to your imagination a little bit with something my wife said to me about a year ago. Imagine, if you will, that this person that we helped here in Fairfax, helped someone else in Wyoming. We in essence could put a sticker here. Or this person that we helped in St. Louis, helped someone in Texas. I know for a fact, that we don’t, or can’t, have a clue how far reaching our Good Works go. These people, if they see God in our works, will pass the blessing forward. It is His design for us and for them. In reality, we could cover most of Missouri with stickers. We could color a lot of states in stickers and we could eventually put more stickers into other countries. Andy just got back from Honduras...there’s a sticker and because of his work, those people will bless others. How cool is that? It’s the perfect pyramid scheme!!!!! You will be able to do many great things, but only if you allow yourself to be held in God’s hand. And allow other people to access you for the many gifts that you possess. You will experience a painful sharpening from time to time, by going through numerous trials, but you’ll need them to become a stronger person. On every surface you walk through, you must leave your mark. It doesn’t matter what situation we find ourselves in, we must continue to do our part. Use our gifts. Bless others lives. And maybe, just maybe, they will see God through our good works and be led to Him through us. There are many people that you see during your daily routines that need our love. There are people here that need our love. There are innumerous people that need to hear about Jesus. We need to focus on these people. We need to do the good works that God prepared for us to do. We need to diligent and deliberate in doing these things. Be the good that people want and need. One of my favorite songs is, “Let Them See You in Me”. Let the people see Him in you and all of the things that you do. Let them see Him in the gifts that you intentionally use to help others. John 3.16 is more than a verse, it is the essence of God. 1 John 4 says that God is love. And the Bible is replete with examples of God giving. So, God is loving and God is giving. These two ideas are perfectly compatible with one another. But when we say God is giving, we can break that into multiple parts because, after all, God is multiple Persons – Father, Son, and Spirit. As we gather today, we are merely two days before we officially celebrate the birth of Jesus, the Son of God. And we know that God gave us Jesus and Jesus gave His life. But is that all? After all, it is more than we could have expected and certainly more than we deserve, but the reality is that each Person of the Godhead is giving because the fullness of God is giving. Now, some may question how one Being can be three distinct Persons. It is a fair question, and honestly, the concept is impossible for our minds to understand. Any attempt at explanation is futile because even though God has made Himself available as a person, in His totality, He is beyond explanation. But, let us take a few moments to explore the idea that God is really Three in One. I have included a few below that contain all three persons of God within a single verse. The picture above provides a bit of visualization of the relationship with each Person and their relationship with one another. Again, no representation is perfect, but, some are wrong. This one may be incomplete, but it is at least accurate in what it does share. Here are a few verses that mention all three members of the Trinity in the one verse. 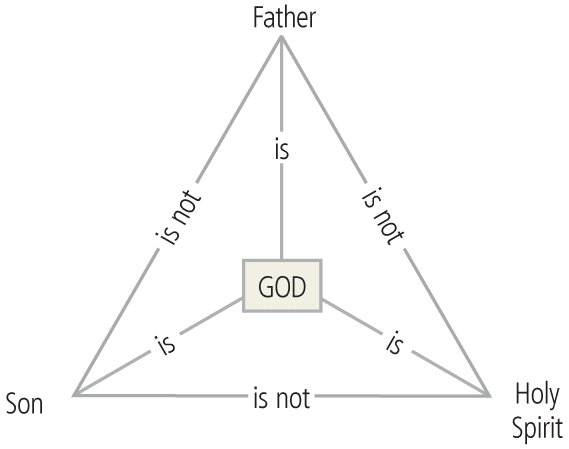 The point of this is to show that God is, indeed, three distinct persons and yet is a single God. As such, when we say God is giving (which is the basic premise of this sermon series), we should consider which Person of God is doing the giving. Ultimately, what we must realize is that God has given us Himself. But if God gave us Himself, and God is multiple persons, let us consider, during this Christmas season what gifts each Person of God has given. The Father gave us the Son. (1 John 4.14). The verses shown here may not represent traditional verses for a blog post at Christmas. But if Christmas is about Christ, then it is about giving. And if Christmas is about giving, then it is about God. And if giving is about God, then we need to know what God has given – not generally, but specifically. Over the previous three weeks, the posts have more generically covered the gifts God has given. He has given us life. He has given us time, treasure, and talent. And He has given us relationships – those we call family, those who are friends, and those who are others. So, today, we get specific on which Person of God gives certain aspects to us. But, in the remaining few minutes I want to talk about the gift that the Gift gave us. That is, God the Father gave the gift of the Son, but the Son has given us a gift that we must not overlook. Because the Son’s gift to us is even better than the jelly of the month club. You know that club is “the gift that keeps on giving the whole year” – as we are reminded by cousin Eddie (Johnson), in the movie Christmas Vacation. See, the gift from Jesus is not only His sacrifice, but a part of God Himself in the Person of the Holy Spirit. Below are two verses mentioned above. They are mention in both the section on God the Son and God the Spirit (and could be included in the Father’s section as well. God gave us Himself. He gave of Himself as the Father. He gave Himself fully as the Son. And He is still giving to us Himself as the Spirit. And the Spirit is a gift from Jesus to you – not just on the day we celebrate the birth of Jesus, but all day, every day, until you are with Jesus again. Think about this! Nothing you receive this Christmas, or at any other time of the year, is greater than the gifts that God has provided. But the danger of Christmas is leaving Jesus as a baby in manger. Yes, Jesus had to come as a baby because that is how humans come into the world. And Jesus was fully human. But, if we only see Jesus as a baby, we miss the point of why He really came – to be our Redeemer, our Savior. And, if we leave Him on the cross, then we miss the point that He not only came to die; rather, He came to live and that required Him to rise again. And that is the true gift of Jesus. He gave us life. But not just life beyond this life. He gave us the opportunity to truly live now. But for us to truly live, He had to remain with us in some way. See, we say Jesus is in our hearts, but truly it is the Spirit who is with us. Jesus is fully God, but He is also fully man, and thus is limited in where He can be. But the Bible says God is Spirit (John 4.24) and the Spirit can be, and is, everywhere. Thus, it is the Spirit that Jesus promised to send as a gift when He, the Son, departed this earth. The Son of God came in form of a baby only to become a man who would die because of His love for us. But the Holy Spirit is God’s continual gift to us – so that we might live now, and not just wait until eternity. For those who receive the gift of the Son, Jesus includes the gift of the Spirit for the entirety of our lives. The Son came and we celebrate His birth, and while we celebrate the outpouring of the Holy Spirit on the day we call Pentecost, we must understand that the Spirit is ultimately Jesus’ gift to us. So, as you celebrate this week, as you exchange gifts this week, or even if you find this week to be the most painful of weeks, remember that, if nothing else, the coming of Jesus was the Father’s gift to you, and the going of Jesus, was necessary to allow His gift to come to you in the Person of the Holy Spirit. The JOURNEY letter for this week is: J – JESUS. Jesus is the Gift. And Jesus has given us gifts. We may not perfectly understand it, but our lack of understanding does not make it true. I don’t understand a lot of things – like cows eating grass and making milk or how putting on plastic glasses on allows me to see movies in 3D or how I can talk or text on a phone without any wires and the right person hears or sees my message. I could list countless other aspects of life that I use that I don’t understand, but they are real. And so is the love of Jesus. And so is His gift to you. But the question is what will you do with His gift to you? PRINCIPLE: God is a giving God – in the present tense. Therefore, Jesus has not just given us something in the past (salvation); rather, He is still giving us something in the present (the Spirit) for us to know and serve God better. QUESTION: What will I do with the gift(s) that Jesus has given to me? NEXT STEP(S): LEAD: Jesus’ gifts are for us, but not for us alone. We are to take what we have received and share it with others. That is, we are to make disciples, we are to lead others. He has gifted us so that we can extend His gift to others. So, let us be both receivers and givers of the gifts God has given, both this week and in all our years to come. Over the past couple of weeks, we have covered a few different gifts that we have received from God. Two week ago, we talked about the gift of life and the various aspects (also gifts from God) that make life what it is. Last week, we talked about the gift of time, the gift of treasure, and the gift of talents. These three gifts have been given to each of us, but we must choose to use what we have been given for His glory. This week, we talk about another important gift God has given us – the gift of relationships. Like life, time, talent, and treasure, we all have relationships. But of these gifts only time is perfectly constant – meaning we all have 24 hours in a day. Of course, you might say, but some people have a longer life, and while that is true, I would put that under the gift category of life. But not only are some life’s longer, some have a different quality – not just in health, but in the approach to life. The same can be true of how we use our talents, and what we consider to be our treasure (which is quite different than worry about how much treasure we do/do not have). Likewise, the number and, more importantly, the quality of our relationships will be different as well. But, we all have someone or many others in our lives and those relationships are a gift from God. So, let us examine three types of relationships that God has given to us. For most people the greatest relationships they have are those within their family. Of course, not everyone has good relations with their family members, and many families have at least one family relationship that is strained. But as the old saying goes, “blood is thicker than water” which is a testimony to the importance of family. We must understand that our family is a gift from God. In fact, it is the first new gift God gave to mankind. I say, “new,” because all of the rest of Creation was complete when God created man. Of course, God then took man and put him in the Garden of Eden. And he brought the animals before man. But when the first man was unable to find a suitable companion, God made woman. And the man and woman were a gift to one another from God. And from this gift man multiplied greatly to cover the earth (see Gen 1.28). We see family being a gift from God in so many places. The Bible says that God blessed Noah and told them to be fruitful and multiply – that is, add to your family (Gen 9.1). Of course, the family begins with a man and woman, but from there it often extends to children eventually uncles, aunts, cousins, etc. are all a part of one larger family. Consider Abraham was called the “father” of many nations. And Jacob had twelve sons who were the namesakes of the tribes of Israel. But all of these descendants are a part of a gift from God. We have to remember that Abraham and Sarah were not able to have children, but God made it possible (see Gen 18 which was fulfilled in Gen 21). Remember Samuel’s mother Hannah praying and God granting her a son (1 Samuel 1). And Solomon writes in Psalm 127 that children are a heritage from the Lord. That is, they are a gift from God (Psalm 127.3-5). The blessing of our church family. Of course, to truly be a part of a church family means being a part of God’s family. (Mark 3.33-35). People may belong to a church, but unless God is the Father of a person, then that person is not truly a part of the family. But God does desire that each one of us be a part of His family. It is God’s gift to us because of His love for us. (See John 1.12-13; Ephesians 2.19; 1 John 3.1). Again, the true benefit is being part of God’s family. I preached a full series on God adopting us as His children at this time last year. But being in God’s family, means that those who are a part of His church are members of a family as well. And what a gift that is – or, at least, should be! Frankly, I am closer to some people in this and previous churches than I am with many people who share DNA with me. And that’s ok. It is like Jesus said with His own mother and siblings outside the door in Capernaum that day, those who follow God were His true family. I feel the same way about many church friends. Like with any family, tensions arise in a church. But think about where those tensions in your home were often discussed and even settled many years ago. It was often around the dinner table. And, similar to a family unit who solves issues while they eat, we are instructed in the Bible to make peace with our fellow family members in the church before we worship (Matthew 5.23-24) and especially before we take the Lord’s Supper (1 Corinthians 11). Therefore, we should be thankful to God for His gift to us that we all family. The Bible is full of examples of people being friends. Of course, the primary text for this point is Jesus words to His disciples that they are His friends. Now, some might consider Jesus words a little strange given the fact that in the previous section we saw from Mark 3 that Jesus called those who do God’s will His brothers and sisters. But as I mentioned a moment ago, most of us will have friends that are dear to us more than certain family members are. And, more to the point, we would certainly call some of our family members friends while others are more like acquaintances. That is a part of what Jesus is saying here. You are no longer my servants, you are truly my friends. What an honor! And what a gift from God. Other friendships in the Bible would include Moses and Joshua, Jonathan and David, Paul and Barnabas, and many others. Some of these friendships also served as mentoring types (e.g. Moses/Joshua and Paul/Timothy), but the importance of friendships is clearly evident throughout the Bible. Beyond the idea of just being a friend, we will say that someone is a good friend while others are bad. For those on Facebook, we have to adjust the definition of a “friend” even further. I used to have a policy that I would only be friends on FB with those I knew (which still didn’t mean we were actual friends, but at least I knew them). Now, I am “friends” with many people I have never met and likely never will. Why the change? Because God has given me an opportunity to influence them by sharing my thoughts and teaching from His Word. So, the definition of being a “friend” has changed in our culture. But the fact remains that some people have a positive effect on us while others can lead us in the wrong direction. Let us briefly hear what God’s word says about the positive and negative aspects of certain people in our lives. But the point of all of this is that God gave us friends. Our objective should be to be wise in who we call our friend. So, we have seen that God gave us family and God gave us friends, but one other group remains. The moment a person is conceived, you are part of a family. You may choose not to like the family or be associated with a family, but a DNA test will reveal family ties. On the other hand, we get to choose our friends. As we just saw, it is important to choose wisely, but the reality is that before people become friends, they are not. That is, other people are just that – they are not family and they are not friends – at least, not yet. So, we can lump everyone who does not fit into the category of family or friend into a collective category called other. Sometimes we know the people in the other category. Perhaps we work with them or have met them at an event or know them because of another relationship in our lives. But we do not know them well enough to truly call them a friends. (BTW, this would be a good term for all of those people on Facebook that are not truly friends, but who wants to be called an “Other” – even if we all know it is true. The Bible has a few really good examples of others. Luke 10 tells the story of a few people who are others. One person is injured and three “others” pass by, but only one of the “others” stops to help. And this man is a Samaritan. If this story had another chapter, I wonder if these two strangers might have become friends. In Luke 19, Jesus also stops along the path because He sees a man who is likely without many friends because of his profession. But Jesus goes to his house, which happens to reveal what so many others think about this tax collector (and Jesus). But Zacchaeus found a friend that day in Jesus and it changed his life and his eternity. We can find examples where we are to with others as well. Jesus says that we should pray for our enemies and those who persecute us. In Matthew 25, Jesus says that we are to care for the least of these. While that may means Christian brothers and sisters, it also means others. Therefore, this group of people is prominent. And they are a gift from God. Why are they a gift? Because like our family and like our friends, the others provide an opportunity to serve. I mentioned the gift of talents last week and said we would have a connection to this week. Well, this is the connection. Last week, I mentioned that one of the gifts God has given each person is the gift of one or many talents. In fact, God gave everyone certain skills, talents, and abilities. And for those who are born again, He also gave us spiritual gifts. And when we use the attributes God has given us, especially as He desires us to use them, then we are expressing our thanks to Him for our gifts. Our serving can certainly help our family much of the time. It will help our friends a good deal of the time. And we never know how our service to others might make a difference in their life – and like Zacchaeus, for eternity as well. Now, I know that when Jesus used others in the verse that I am about to share, He meant all others (family, friends, strangers, etc.) But listen to what Jesus says about others in a verse that should be VERY familiar to us now – “In the same way, let your light shine before others, so that they may see your good works and give glory to your Father in heaven” (Matthew 5.16). That verse captures the essence of our church’s vision perfectly. But the idea is that we must use the gifts that God has given us in our time, talents, and treasure so that God’s gifts to us of our family, friends, and others might bring Him glory for what He is doing in and through us. So, God gives us gifts. But He does so not for our purpose, but for His. That doesn’t make God selfish, it makes God glorious. After all, without God we would have nothing, and in fact, we would literally not exist. So, let us celebrate the gifts God has given – the time, talent, and treasure and all of those relationships He has brought into our lives as well. While not all relationships are “good” or healthy, each and every relationship has a purpose. Relationships can smooth our certain areas of our lives when we yield to the grace of God. Thus, relationships are like sandpaper and the more “smoothing out” we need, the rougher the relationship usually is. Why? Because it requires us to rely more on God. Ultimately, God gave us relationships, in part, because our lives would be empty without them. But, more importantly, He gave us relationships so that we can serve others, be served by others, and serve with others because while we are serving others, we can be serving Him. The JOURNEY letter for this week is: U – UNITE. Unity is not always possible. The Bible is realistic about this. Paul wrote in Romans 12 that as much as it depends upon you, live at peace with everyone. Jesus did this, and yet a friend betrayed Him and others killed Him. But God’s goal is for His people to be united. How do we know? Because it is the very nature of God. 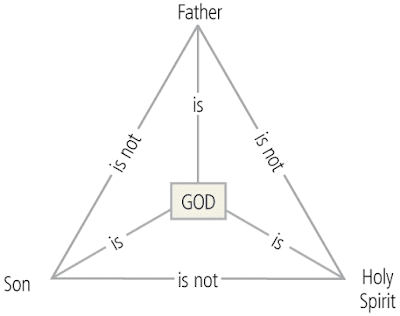 After all, God is a relationship – Father, Son, Spirit. And we call this relationship Trinity, which is really expressing the 3-in-1 aspect into one word with the “3” represented by the prefix “tri-“ and the “1” represented by the word unity. So, using the term trinity is really to say tri-unity. Thus, if God is united Himself, He wants His people to be united as well. QUESTION: What relationship(s) in your life do you need to give thanks to God because of your appreciation of His gift? What relationship(s) do you need to seek to mend because God gave you the opportunity to have the relationship in the first place? NEXT STEP(S): LOVE: It is usually easier to love our family and even our friends than it is to love others, especially complete strangers. But the Great Commandment – loving God and loving others – is all about relationships (Mark 12.30-31). So, let us show thanks to God for His gift of relationships to us by being better at loving others in the coming year(s). So, rightly or wrongly, we are in the middle of that season where we hope to be considered good enough to receive gifts (lists being made and then checked twice for those who were naughty and nice). And we hope to be properly thanked for getting good enough gifts. So, let me ask, have you ever received or seen someone else receive the perfect gift? How do they react? How does the giver respond? That moment, if/when it happens, is truly a blessing for all involved. With that in mind, here is an important thought. If you are a follower of Christ, then you have already received the perfect gift? Of course, that is Jesus. But even beyond the gift of Jesus (which we will discuss in two weeks), God has gifted YOU perfectly to serve Him. Last week, we began this short series by reviewing some of what God has given us. This week, we will go a little deeper with the idea of three particular gifts God has given to all people, but particularly to those who call Him Father. God is an eternal God. Therefore, time is a part of Creation. God doesn’t need time, we do. When the Bible says, in the beginning God created...well, He also created time. He created the concept of “beginning.” Because God existed before the beginning and will exist after the end – of time, that is. That is why He is called the Alpha and Omega. These are two letters of the Greek alphabet, where alpha is the first letter and omega is the last. For us it would be like saying God is the A and Z. And because God is eternal, the writer of Ecclesiastes says that He put eternity in our hearts (Eccl. 3.11). We are created to be beings that will live beyond this life (that is, for eternity from here forward), but we are bound by time at this point. So, the question is: What do we do with this gift of time? We only have so many days on this earth and therefore we must make them count. To redeem something, is to buy it back or recover it. Of course, we call Jesus our Redeemer because He bought us back. That is, Jesus purchased us instead of letting us die and be separated from God. Paul writes that the days are evil. Thus, we need to buy them back. We need to make the best use of the time that God has given us. We need to be intentional. We need to be focused. We need to be committed. Do you know what happens if we are not intentional, focused, and committed? Nothing. Nothing good happens. We say things like, “I can’t believe I just wasted a whole hour (or day)” doing whatever it is we do when we are not redeeming the time. The problem is that too many people waste too many days and when their life is about to end they realize just how limited their time is, they regret what they haven’t done. I don’t want that to be me, and I pray you don’t want that to be you. And, in the coming year, we are going to have the opportunity to be much more intentional, more focused, and more committed to doing all that God wants from each of us. I can ask if you are ready now, but those are just words. As the old saying goes, the proof is in the pudding. Well, get ready for 2019, because the pudding is about to be served! Now, we come to the topic everyone dreads hearing about during a sermon. But the reality is that God has given you finances. And God offers you the opportunity to return some of that portion to Him. As I mentioned last week, God is a giving God and His generosity far exceeds His “expected” return. He wants a cheerful giver, but 10% should be a minimal goal for us. Maybe we can’t give 10% now; maybe only 2% or 5% is possible. But if you get a 2% increase, why not give 1% extra to God. In a few years, you can be giving 10% or more. 10% is, after all, the full tithe. And the only place in the Bible where God asks for us to test Him is in regard to giving Him the tithe. Just before this verse, God asks, “Will man rob God?” The idea is that we often withhold from God in order to meet our own desires. But God says, if you give to me, I will give abundantly to you. Do you believe that promise? God will supply all your needs. He will, and that need includes giving back to Him. Why does it include giving? Because we are made in the image of God and this entire series is about the fact that our God is a giving God. Thus, if He gave and still gives, then we should be giving as well. And, if we are not giving, then perhaps, that is because we do not trust Him to provide for us. Of course, some are able to give more than others, but it is not the amount we give it is the sacrifice we are willing to make. Compare the story of the rich, young ruler in Matthew 19 who had much but was unwilling to part with it (Matthew 19.16-22) compared to the widow who gave all she had (Mark 12.41-44). Which person truly had faith? Please understand it is not wrong to have stuff. But nothing we have is truly ours. It is given by God for us to steward. It is ours in the sense that God has allowed us to have/use it, but ultimately, everything belongs to Him. As Job said, “Naked I came from my mother’s womb, and naked I shall return” (Job 1.21). Job knew the truth because his faith was in the right place. Even though Job struggled and seemingly doubted, he knew that despite losing all he had, his true treasure was found in God. And, as you may recall, God restored to him even more than he lost. As I say often, we are not to seek what God may give us, we are to seek God. If we seek stuff from God, we may receive it, but miss out on having God. But if we seek God, then we not only get God, but one day (in the next life) we will get everything that God can offer. Remember, God has set eternity in our hearts, so let us focus on where the true treasure lies. This last point will spill over into next week, but it is important we see this truth today. Because like with time and treasure, God has given us the ability to do certain things. The question is: How do we use what God has given? Do we use it for ourselves, for others, or for God? Now, the reality is that all three of those aspects can be ok (which is why we need to spill over into next week), but to paraphrase Paul’s thought to a couple of different churches, all that we do should be done for Jesus and to glorify God (Colossians 3.17, 23; 1 Corinthians 10.31). God knew what He needed, so He gave us the ability to do it. Notice, the verse says that He prepared these works beforehand so that we would walk in them. That is, we should be doing what God prepared for us to do. He didn’t just randomly make you or me. He made us on purpose, with purpose, for a purpose. And thus, He expects us to fulfill our purpose until we are no longer living. We looked at this passage recently on a Hub Sunday with the help of Mr. Potato Head. The truth is we need to be different and have different skills to accomplish different tasks to fulfill the overall mission that God has for us. That begins by each one of us doing our part, and it ends with God getting the glory for what we accomplish together. Thus, God made us all unique and, as such, we need one another to be complete. Notice verse 6 says that the different gifts we have received are because of His grace. This is stunning. Parents worry too much about being fair. If one child receives something the other child must as well. Now, when one child is having a birthday, some people give a gift to their siblings so they are not left out. That is their choice, but God isn’t worried about fairness, He is worried about getting things done. So, notice verse 6 ends with an exhortation from Paul – “let us use them.” That is, God has given us these gifts based upon what He thinks is best – so, let us use what has been given to us. How? For whom? Well, we will develop this thought more next week. For now, let us be about discovering our gift and using what we know we should be using. Time. Treasure. Talent. These are all gifts from God to His people. The Bible speaks about time often. It speaks more about money and treasures than it does about heaven and hell. And all throughout the Bible we see people using or refusing their talents. The question for us is: How will we respond – as individuals and as a church? I know that God has gifted me in many ways. However, to use the Parable of the Talents in Matthew 25, I feel like I am often returning three talents for the five I have been given. A 60% return may be great as an investment in the market, but is it enough for Jesus? Well, Jesus was willing to receive at least interest from the third servant in Matthew 25. But in reality, 60% is not enough for all that Jesus did for me. He gave 100% of Himself to me so that I could give back to Him. But my failure is why He came. Your failure is why He came. We are just over two weeks from celebrating the birth of Jesus, but it is not just a baby we honor. It is the baby who became a man willing to die so that when we fail to live up to the expectations of God, we can be forgiven because of the sacrifice that man, the man named Jesus, made for you and me. It is up to YOU. It is up to me. God has a purpose for each of us and thus He has given us gifts to accomplish that purpose. Ultimately, we are gifted so that God may be glorified, but that only happens if we live our lives in the manner for which He intended. We cannot change yesterday, but we can make a new future by our choices today. PRINCIPLE: God gave us resources to be used for His glory not ours. QUESTION: How can I better use what God has given me as an expression of thanksgiving to Him? NEXT STEP(S): LIVE: Live what you know as you seek to improve yourself for Him. Don’t wait for tomorrow – make use of the time you have been given today to begin serving God with your time, your treasure, and your talents. A little more than a week ago, we celebrated a holiday called Thanksgiving. Many people still hold this holiday for its intention – as a day of giving thanks for what God has provided. Of course, the American focus goes back to the pilgrims and the Indians, but the origins of the holiday actually go back to the ancient Israelites and the Feast of Sukkot (the Feast of Tabernacles) which was the feast of the harvest. But in our day many see the day as the beginning of the season of the getting. That is, maybe we should call December 25th, “Thanksgetting,” and wrap the period in between in a nice bow to represent what many have purposed these 30 or so days. But, even if some people do focus more on what they get instead of what they give, the reality is that someone had to give something in order for that something to be received. Yes, I know that some people give themselves their own gifts to make sure they get what they want, but still, the premise holds true. The act of giving is required for an act of receiving to happen. So why do people give? Some will say they give based upon what they receive (or hope to receive). Others give because they want to give or because they can. But ultimately, the reason any of us give anything is because we are created in the image of God, and the Bible shows time and time again that God is a giving God. This week, we begin a four-part series entitled, The God Who Gives. This week will serve as a bit of an overview of the series, with the next three weeks looking more in depth at points two through four from today’s outline. By the time this series is completed, my goal is for us all to appreciate all that God has given to us and for each of us to be more responsive for what He asks of us in return. Today I am going to share four primary aspects of God’s giving. We must realize that just because God has given it does not mean that all of us have received it. As I mentioned above, these four aspects are really the outline for the series I am preaching this month. The entire theme can be understood in the idea that God is a giving God and therefore, because we are made in His image, we should be giving as well. In fact, as we will see in the next three weeks, we can give to others the very things that God has given to us. But first, let us take a birds-eye view of God’s gifts to us. We know that God breathed life into Adam (Gen 2.7). But the NT reminds us of this truth as well (1 Tim 3.16; John 6.33). We could go on and on with the things God gives related to life as well as life itself – life that is abundant, both here and forever for those who follow Jesus (according to Jesus – John 10.10). We will come back to this idea in Week 4 a little bit, so for now, let us preview the next few weeks to see what else God gives. Again, we can look at the very beginning of the Bible to see that He intends for His creatures to have purpose. At the end of Genesis 1, God says that mankind is to have dominion over all other animals. He commanded the first man and woman to be fruitful and multiply and subdue the earth. In Genesis 2 (v 15), God put the man “in the garden of Eden to work it and keep it.” Later, God had a purpose for Noah, for Abraham, for Jacob, for Joseph, for Moses, for Joshua, for Samuel, for David, for Isaiah, for Jeremiah, for Daniel, and a whole slew of others. In the NT, we see the same was true for Jesus, but also for Peter, and John, and Paul, and Bartemaues, and even Judas. What can I do, if done well, and done for Jesus, can make a difference in this church and for the Kingdom of God? A part of that answer lies in the purpose that He gave to you. In all of history, you are the only person who is exactly like you. And thus, God made you unique to do something only you could do. The question is are you doing it? If not, maybe it is because you have not discovered that purpose. Do you think it is too late? Well, Moses was 80 and Abram was about 90 when they learned of their purpose. And that is young compared to Noah who was 500 when God revealed his purpose. So, you are not too old. Nor are you too young (remember Samuel was a small child when the Lord first appeared to him). The question is are you interested in knowing your purpose? And if so, are you willing to fulfill it? We will discuss this aspect of our purpose more next week, and, for that matter, next year. 1 John 4.8 says God is love. And if we are created in God’s image (which Genesis 1 says we are), then some of that attribute is within us. If it wasn’t, then God would be asking the impossible when Jesus said that the greatest command is to love God with everything we are and to love others as we do ourselves. Of course, it is next to impossible to do this well anyway, so we must rely upon the love of God to make it happen in our lives. But not only did God gives us the capacity to love, He gave us His love. One verse in the Bible says something about God loving us so much He did something for us. You might recognize it if you heard it (referring to John 3.16). What was it God did? He gave His Son. Why? So that we might have life. Wow. That is love. Stop and think about that for a minute. I am sure we all have had a similar thought about sacrificing our own child. But let’s make it practical in this moment. Look at the person next to you. In front of you. Behind you. Look at me. Whatever you may think of the person personally, would you willingly sacrifice them to appease the wrath of a god. History shows that this happened often, including in biblical times. But these sacrifices were made to some god out of fear for what might happen. Our God gave us Himself because He loved us (and loves us) so that we do not have to fear Him, but that we may love Him in return. But the love that He has given to us is not for just ourselves and Him, it is for all people – and for all of the time. More on this thought in two weeks. This fourth point relates to the previous one. Love and grace are connected just as love and mercy are connected. Therefore, we have a direct link which connects mercy and grace. The gift of God by which you do not have to die for your sin is because of His mercy. The gift of God by which you have life is due to His grace. As Ephesians 2.8-9 tell us it is a gift of God that we have grace through faith. You might recall a phrase I isolated around this time last year from John 1. John records that from God’s fullness we receive grace upon grace (v. 16). I absolutely love that thought that grace is multiplied by grace. Take a dose of grace from God and heap an another helping. That is what John says we can receive. But something can only be received if it is offered. And John says it is from the fullness of God that such grace is offered to you and to me. Now, that does not give us license to abuse that grace. Rather, the grace we are extended is to then be extended to others as well. But the idea of grace upon grace is a wonderful picture of how much God has given to us already and how much more He is willing to give us when we fall. We could spend the rest of the day reviewing Scripture for all of what God has given in the past or will give in the future. And, I am certain, we could spend all week here listing (and then discussing) all that He has given to each of us individually. So, why does God give us all that He has and all that He will? Why does God give us all of these things and more? Because our God is a giving God. Let me ask it one more time with a slightly different emphasis. Why does God give us all of these things and more? Because He wants us to pass on what we have received so that others can benefit as well. God gives because He is a giving God. But God gives to us so that we can give to others. God made us in His image, so our very nature includes the capacity, and even the desire, to give. The challenge for us is to live up to the challenge of being a giver like God. The truth is that in God’s economy, we cannot out-give the giver. God always has more to give, but that does not mean that He necessarily will give when we want it. Of course, the same is true with us. We often have more to give, but we withhold it for various reasons. However, I would venture to guess that our reasons (however good we think they are) pale in comparison to the reasons God would withhold from us. That said, as we consider what it means for God to be a giving God, will you consider how God wants you to respond this month as a giver? We will talk more about our own responsibilities in the next three weeks, but before we make excuses or give a rationale for why we don’t give to someone or some organization (including this church), let us stop, for this month, and ask what, if anything, God would have us to give. God is the giver, but He has given so that we will engage others. He wants us to tell His story. He wants us to share what He has done in our lives. He wants us to give back that portion from what we have received. NEXT STEP(S): LEARN: What motivates you to give or not to give? What motivates you to give the amount you give? Is it duty? Is it habit? Is it love? Is it something else? Take time this week to LEARN what motivates or inspires you to give. Then ask God to help you remain faithful or to fix your life in whatever way it needs to be fixed to allow you to give as God wants you to do.